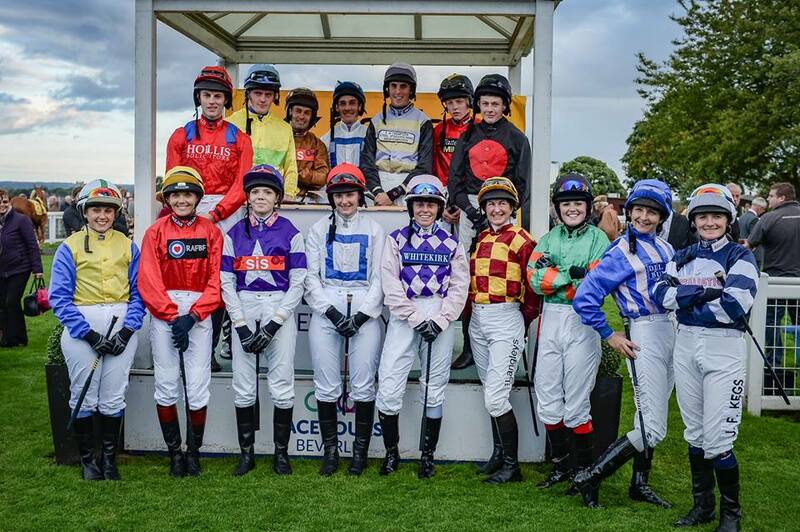 Are you aged 18 to 29 and employed within the racing industry either as an amateur jockey or apprentice jockey or involved in some other capacity? Might you be interested in taking advantage of professional mentorship opportunities abroad? Would you be able to commit to a scholarship opportunity for up to 8 weeks? 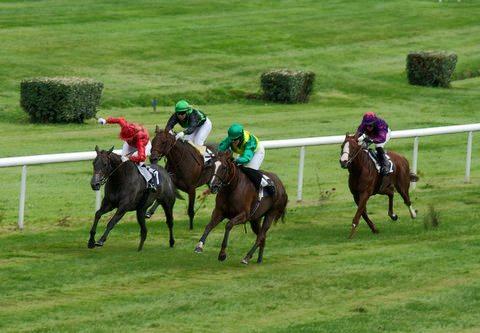 Have you finished at least one year or graduated from your home Racing Academy or other entity that provides horse racing or related industry workforce training? 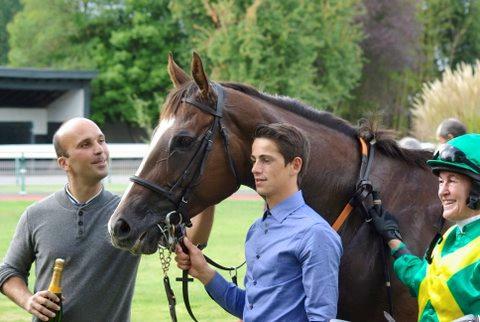 If so, you may be interested in a unique opportunity that is available to over 20 students to become involved in an international student exchange programme, the Racing Scholarship Fund, which, thanks to the generosity of Sheikh Mansoor and under the leadership of Lara Sawaya, has been set up by IFHRA (International Federation of Horse Racing Academies) (includes the British Racing School and Northern Racing College). The IFHRA Racing Scholarship Fund (RSF) is designed to benefit both students of IFHRA member racing academies and employers within the horse racing and related industries. Students will work abroad in real-world situations gaining experience and benefitting from mentorships which will be a long-term benefit to future careers. At the same time, future employers will also benefit from students who have experienced the IFHRA RSF and who have therefore gained training in the newest practices our industry offers. This is an extraordinary opportunity to gain unique experience and broaden your horizons! If you would like to apply for one of these valuable places, you can contact either the BRS or the NRC or alternatively e-mail sph.oliver@btinternet.com immediately for further details and an application pack. Hurry because the official closing date is 15th October. Please do not delay! 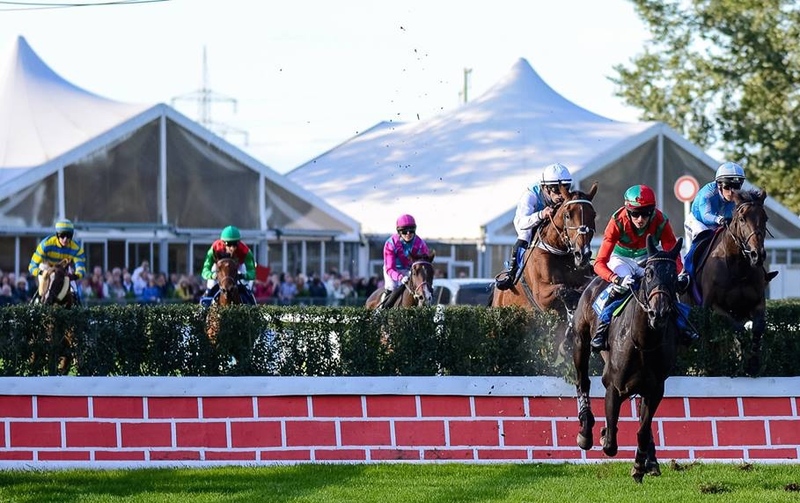 Many congratulations to Zac Baker who enjoyed his first success with his first ride abroad yesterday when riding in a FEGENTRI Chase in Mannheim, Germany. 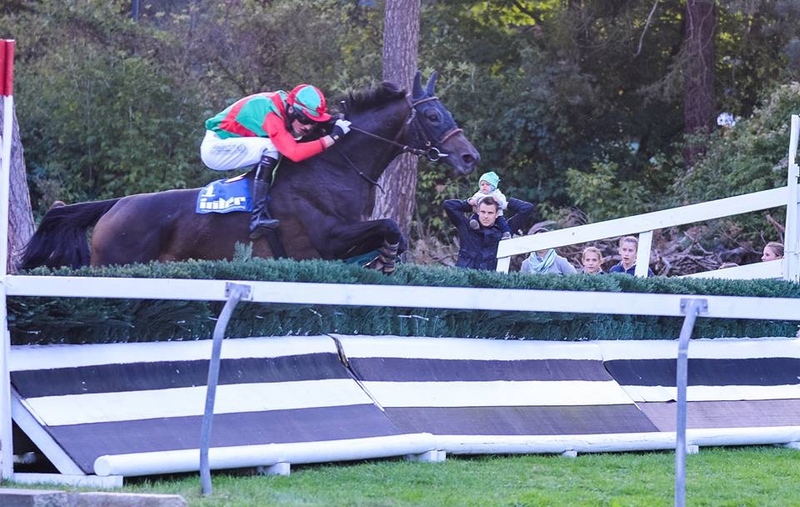 With a total of 5 declarations on Thursday but an apparent chronic shortage of jump jockeys within the international amateur federation (which GB left at the end of 2014), only Czech Republic and France had representatives riding at that stage. Drastic measures were therefore taken by the host nation and last year’s GB representative Freddy Tett was invited to ride there along with compatriot amateur jockeys Page Fuller and Zac Baker. 7 horses actually ended up going to post yesterday. Well done to Zac on a great victory for GB under rather bizarre circumstances! Many congratulations to MICHELLE EDDEN who has won ATR August Ride of the Month for her victory recently at Brighton with her own FLAG OF GLORY trained by Peter Hyatt. 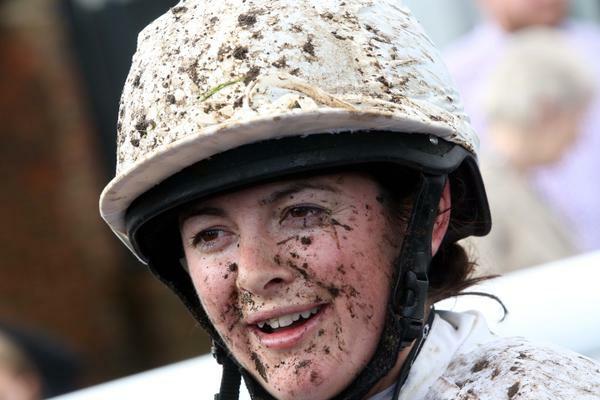 With top professional jockeys Willy Twiston-Davies, George Baker, Barry Geraghty and Cathy Gannon also nominated, it was a huge achievement for amateur Michelle’s ride to receive the greatest number of votes from At The Races viewers. Michelle wins £500, with Retraining of Racehorses also receiving the same amount. A video of the race can be seen below. 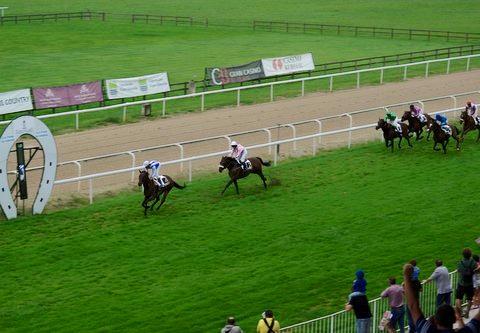 Watch the line that Michelle took in the closing stages of the race (on her trainer’s instructions) with the nearside running rail helping her to get her horse’s head in front to be first past the post. Well done Michelle! Congratulations John Dawson, surely the owner of the longest legs of any licensed jockey, who had a day to remember at Beverley racecourse yesterday when partnering JAN DE HEEM trained by Tina Jackson in the Betfair Supports Amateur Riders Handicap. Although nearly hitting his head when leaving the stalls (!) John was always going comfortably, initially holding up his mount before making significant smooth headway from 3 furlongs out, ultimately fighting off this season’s leading Flat gentleman Kaine Wood on MISS RANGER and pushing his mount out as they neared the line, winning by 3/4 of a length. The story of the race was unusual. Not only was the public interest alerted to the second ride under Rules of Olympic cyclist Victoria Pendleton which created a huge media buzz at the course but also amongst the 16 runner field were the current leading amateur jockeys of this season, Kaine Wood and Serena Brotherton, both obviously keen to add to their tally (whilst Joanna Mason had to endure watching the race as she sits out her current ban). Well done John on a great start to your Flat career! With a lull in the ladies calendar here in Blighty, our reigning champion lady rider Serena Brotherton did not sit still last weekend but undertook a trip to the Continent. 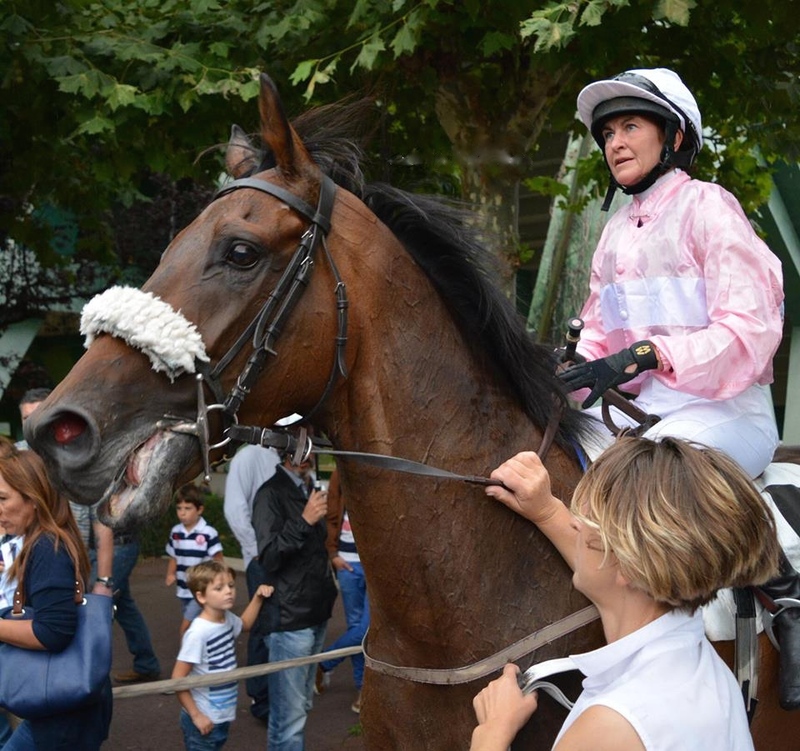 As a result, she nearly made it a winning double with a victory in a lady amateur race at Bordeaux-Le-Bouscat en route to San Sebastian in Spain. There she rode her own CITY GROUND (above) trained by Mick Easterby (and led up by fellow amateur Aly Deniel) to finish 2nd in an amateur rider’s mile race. Serena is now on a career total of 95 wins with her ambition of reaching 100 a little closer. Well done Serena! Did you know that one of the benefits of AJA membership for any licensed amateur jockey (Flat, Jump or Point-to-Point licence holders included) is that you are entitled to 50% discount of subscription to Racing UK? This in itself actually would cover the cost of AJA membership (currently £100 for 12 months) within a year! This generous discount is in addition to the automatic insurance which all AJA members are entitled to upon joining. If you would like to apply for the RUK discount, please download the form from the link below and post it to the AJA for it to be actioned for you. Any amateur jockey who sustains a concussion as a result of a fall whilst riding under Rules can now claim a Concussion Bounty in line with the system used by professional jockeys. If you are unlucky enough to sustain such an injury and have had a red entry into your medical book, you will need to replace your crash helmet. Upon receipt of the damaged helmet, the sum of £80 will be rewarded to you in order for you to replace your helmet. To benefit from this entitlement please post your damaged helmet to the AJA at Crews Hill House, Alfrick, Worcester WR6 5HF together with the attached form in order for your claim to be processed. NOTTINGHAM on 28th October: ONE MILE 2 FURLONGS for 3 year olds and upwards rated 46-60. 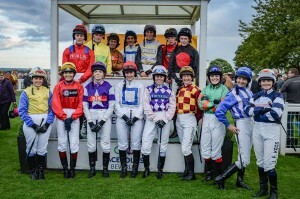 To be ridden by Amateur Riders who, prior to 25th October 2015, have not ridden more than 10 winners under the Rules of Racing or the Rules of a recognised Racing Authority and who are members of AJAGB by the time fixed for the declaration of riders under Rule (F)92.2 of the Rules of Racing. A BHA Jockey Coach will be in attendance on each day for a pre-race coursewalk and a post-race debrief for all jockeys.